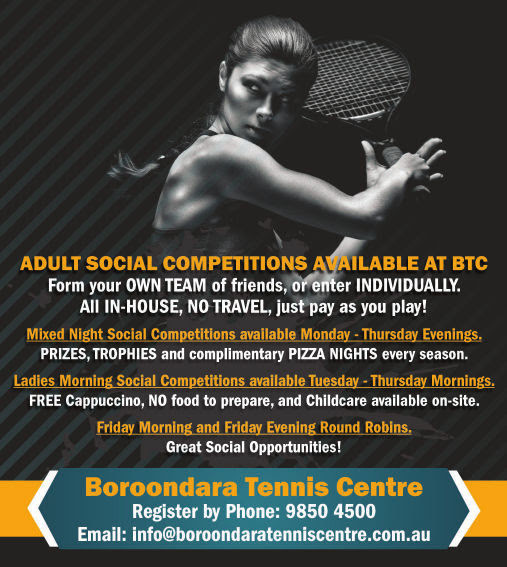 Boroondara Tennis Centre April 2017 Newsletter. The aim of this survey is to give us a better idea of how you, our clients, perceive your coaching experience. By better understanding which things we do well and which things we could do better, we can seek to improve our services in these areas, to better serve all of our clients. Completing this survey should only take a minute or two and can be done totally anonymously. Alternatively, you can return your survey with your name and contact details to go into the two prize draws for a free term of group Tennis coaching or a new HEAD tennis racquet! Please return your survey to the survey box at reception, or by email, no later than Monday 1st May, 2017. The prizes will be drawn on Monday 8th May. Download the 2017 Coaching Survey here. Get a taste of what it is like training like a professional tennis player. High-intensity drilling and hitting, fitness and match play. We have a range of different coaches with elite international experience who achieved world rankings in their careers. Our coaches give expert advice on trainingprogram'sand matchplay. "Our Aim is to make our athletes physically and mentally stronger than their opponents, in an enjoyable & positive atmosphere". The training squads are run Monday to Thursday nights 5.00-7.00pm. They range from post-juniors to 12 years of age. They are held on the Australian Open grand slam surface Plexi-cushion. You will also receive a free training shirt on enrolment. 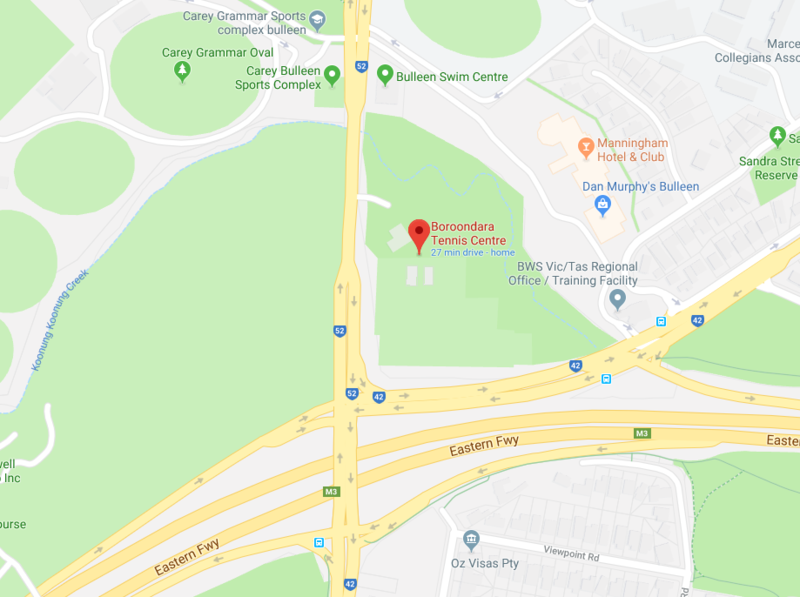 For enquiries please call Boroondara Tennis Centre on 9850 4500. The Sunday Junior Round Robin at the Boroondara Tennis Centre is another opportunity to gain valuable match play for juniors. Coaches are in attendance during both the Friday night and Sunday sessions.